A very creditable, rugged and lightweight set of wrists for your B9 may be fabricated from off-the shelf PVC plumbing components. The cost is less than $100. Per set. If alternate materials are used for the outer rings, or if you share a sheet of PVC with your fellow builders this cost may be cut more than half. The dimensions are shown on the club standard blueprints. Thanks again to Dave Painter for making that information available. Some dimensional compromises, of course, have to be made to accommodate the materials used, but they are relatively minor. 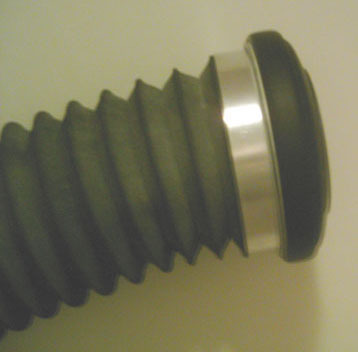 Fig 2 shows the plumbing parts used; the 6” pipe cap provides the body of the wrists. 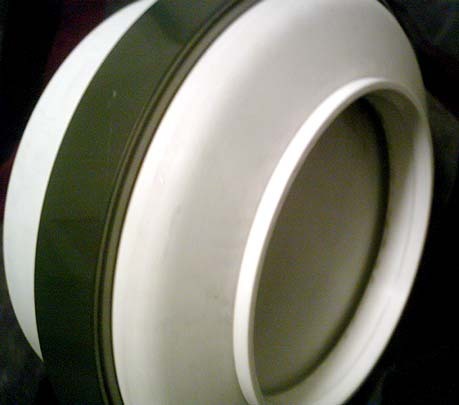 A 6” sewer cap provides the “cuffs” for attachment of the arms as well as the disks that shroud the claws. 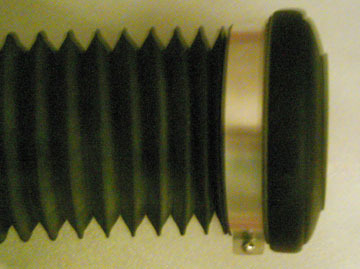 The 4” coupling is cut two provide 2 inner trim rings for the hole in the center of the wrists. Only one coupling is required to make a set of wrists. A lathe is by far the easiest method to cut and trim the parts and insures that the hole is truly centered and the parts fit together smoothly. Sawing and sanding would work if you go slow and measure carefully. 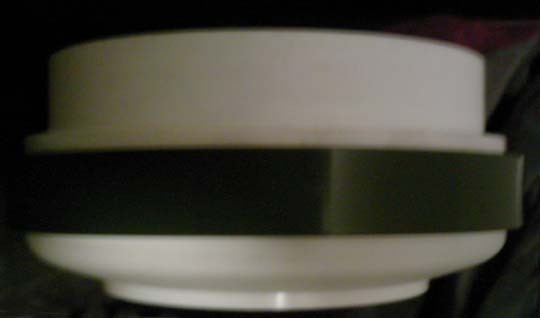 The trim rings are cut as flat strips from ¼” gray PVC sheet. A sheet metal shear works very well for the type 1 PVC sheet from McMaster-Carr. The rings are bent by heating them in a oven to about 225 degrees F for 20 min. When removed they will be limp as a noodle. Wrap them quickly about the wrist and smooth them with your (gloved) hands until they set. A word about PVC: Most materials grow when heated. 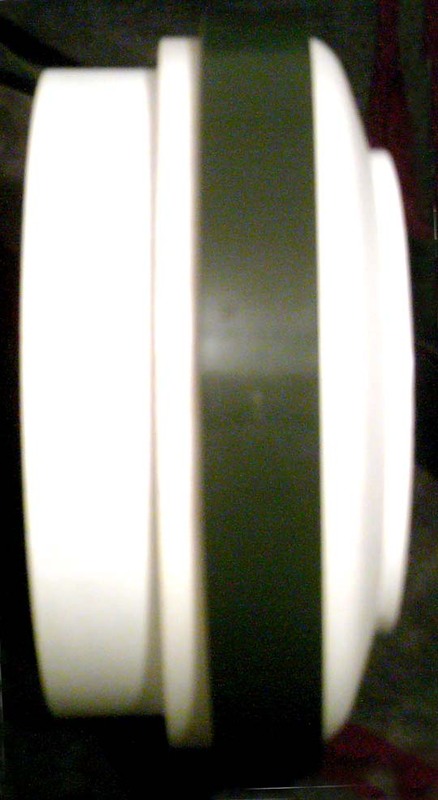 PVC is no exception, expect the strip to grow about ¼” when hot. Over-lap the edges when wrapping them. As they cool they will fall into place and leave only a small gap to fill. If you mess up, i.e. you cut them too long, fear not! Return them to the oven and they will magically flatten back out. Did I mention PVC has a memory too? Trim the strip and try again. Cementing the rings can be a bit tricky, I used a simple homemade fixture to block the ring at the correct height and insure it stayed straight. Cement the ring using ordinary PVC plumber’s cement. Make sure the surfaces are clean and apply PVC primer first. Don’t fiddle with the cemented part too long. Cement it, locate it and tie it tight around the circumference with wire and walk away for at least an hour. Figures 4 to 6 show the wrist assembled prior to sanding the radius on the trim ring and cementing the insert (that’s why it sticks out so far) If you want the “classic” sharp-angled face on the wrists they can be turned to shape, I personally liked the slightly rounded face of the pipe cap better. The picture quality is poor due to the limitations of my camera.